Background Springfield grew up in a military family, and moved as his father, who was in the army, was posted to various military bases throughout Australia and Great Britain. Springfield started playing piano at age 9. He began playing the guitar at age 13, and writing songs at 14. Musical career In 1967, Springfield dropped out of high school to begin his professional music career. His first appearance in a band was as a singer/guitarist in the band Rock House. In 1968, the band changed the name to MPD, Ltd, then embarked on a tour of Vietnam to entertain the troops stationed there. In 1969, when Springfield returned to Australia, he formed a band named Wickedy Wak with MPD bandmates Danny Finley and Paul Shannon, along with a keyboardist who went by the name of Ray Wight. Later that year, he joined the band Zoot. Zoot became one of the most popular Australian groups of the late 1960s. Another notable member of Zoot was Beeb Birtles, who in 1975 went on to form the Little River Band. In May 1971, when Zoot broke up, Springfield began a solo career. He had a #1 hit single in Australia, "Speak to the Sky." After his success in Australia, the 22-year-old Springfield relocated to Hollywood, California in 1972. Capitol Records signed him, and he recorded his first album Beginnings. "Speak to the Sky" was re-released as a single in the US, and reached #14 in the Billboard Top 100. Exposure on American Bandstand, as well as being regularly featured in teen fan magazines such as 16 magazine and Tiger Beat, sparked interest amongst teenage girls. In 1973 a Saturday morning cartoon called Mission: Magic! was centered around Springfield and ran for one year, with a soundtrack album also released. According to the 2005 A&E Documentary Rick Springfield: Behind The Image, radio stations became suspicious of the album "Beginnings" and refused to play it, because of rumors that the record company, Capitol Records, was paying people to purchase it. Capitol denied the rumor, but Springfield was subsequently dropped from the label. However, in 1973 he was signed by Columbia Records, who released his second album Comic Book Heroes (1974). It received very good reviews from Rolling Stone Magazine, but it failed to chart. Springfield was dropped from that label as well, and plans to release an album entitled Springfield were also scrapped. In 1976, Springfield released a third album Wait for Night under the Chelsea Records label. But while he was out touring to promote the album, the record company went bankrupt. Despite one single, "Take A Hand", grazing the Top 40, the album still fell off the charts. Throughout the rest of the 1970s, Springfield performed in various clubs on the Sunset Strip and throughout Los Angeles, but was unable to maintain a career at the top of the charts. After a break of several years to do some acting (see section below), Springfield returned to music in 1981 with the album Working Class Dog. Most notable on this album were the singles "Jessie's Girl", which went to #1 on the Billboard charts, and "I've Done Everything for You" which was written by Sammy Hagar. Springfield won a Grammy in 1982 for "Best Male Rock Vocal Performance" for "Jessie's Girl". Springfield was also nominated for a second Grammy in 1982 and a third Grammy in 1983. His subsequent release in 1982, the album Success Hasn't Spoiled Me Yet, also contained a string of top 40 hits including the #2 hit "Don't Talk to Strangers" and the ballad "What Kind of Fool Am I?" His 1983 album Living in Oz contained more serious subject matter, and more of a hard-rock sound. The album went platinum on the strength of the hits "Human Touch", "Souls", and "Affair of the Heart". That same year he won an American Music Award for "Favorite Pop/Rock Male Artist" along with John Cougar Mellencamp. His 1984 single "Love Somebody" (from the soundtrack album to the Hard to Hold movie he starred in that year) was his last top ten hit in the U.S. to date. He stopped touring in 1985, for the birth of his first son, Liam. Springfield was one of several performers who participated in the Live Aid charity concert. After releasing the album Tao in 1985, Springfield chose to take a break from recording to spend more time with his family, and to deal with the depression that had affected him since his adolescence. In 1987, Springfield returned to the studio and released the album Rock of Life. The next year, he was seriously injured in an ATV accident. Since he was unable to play the guitar for six months, the planned tour to promote his album was canceled. It would be nearly a decade before Springfield would return to the studio to record the albums Sahara Snow (1997) and Karma(1999). From 1999 onward, he has held several concert tours throughout North America. In February 2004, he released the critically acclaimed album "Shock/Denial/Anger/Acceptance" (in short S/D/A/A) on his own "Gomer Record" label. It went up to #8 on the Top Independent Albums chart, and #22 on Top Internet Album Sales chart. In 2005, Springfield released his latest album, The Day After Yesterday - a collection of his covers of "songs [he] wish[es] [he] had written." On April 28, 2006, Springfield performed a medley of his hits at the 33rd Daytime Emmy Awards, and received an enthusiastic response, which included a standing ovation from his acting peers. Springfield's latest release is a live concert DVD entitled Live in Rockford. In late-August 2007, Rick took part in the Countdown Spectacular 2 concert series in Australia. It was the first time Rick had performed live in Australia for some 35 years. Because of various issues regarding the management of his recording career and uncertainty with immigration paperwork, in the 1970s Springfield decided to branch off into acting. He had already starred in the cartoon series Mission: Magic, produced by Filmation in 1973, where he appears in the animated format, along with the teacher Miss Tickle and her teenaged students. In 1978, he became one of the last contract actors signed to Universal Studios, and appeared in several guest roles in series such as The Incredible Hulk and The Rockford Files. He also had a brief role as Zac in the 1978 movie Battlestar Galactica, and a small recurring role on the soap opera The Young and The Restless. In 1981, Springfield became a soap opera star on General Hospital. He had already recorded the album Working Class Dog, which neither he nor his agent had expected would do very well, which is why Springfield took the soap role. But the song "Jessie's Girl" went to #1, and Springfield ended up both playing the role of Dr. Noah Drake from 1981 through 1983, while simultaneously going on tour with his band. The success of the song boosted the ratings of the show, which according to Springfield "became the biggest show on TV for that summer," and the fame from the show likewise boosted the sale of the song. In 1984, Springfield made one full length feature film Hard to Hold. It was considered a box office failure, but the movie did produce a successful soundtrack with a top ten song "Love Somebody." Despite the fact that he played a young rock star in Hard to Hold, in real life Springfield was already in his 30s, had become a husband and father, and was growing uncomfortable with the teen idol image he portrayed. Throughout the 1990s, Springfield acted in several made-for-TV movies, and appeared in television shows such as Suddenly Susan. In 1992, he starred in the suspense detective series Human Target. From 1994 to 1996, he also starred in another detective series, High Tide. In addition to the roles on television and in film, Springfield also acted in musical theatre. In 1995, he was a member of the original Broadway cast of the musical Smokey Joe's Cafe. This Tony Award-nominated musical featured the songs of rock & roll songwriters Jerry Leiber and Mike Stoller. From February 2000 through December 2002, Springfield performed in EFX Alive!at the MGM Grand in Las Vegas, Nevada to critical acclaim. In 2001, he appeared in the film Dying to Dance, which also starred another General Hospital actor, Kimberly McCullough (Robin Scorpio). Springfield also played the role of Nick Knight in the original Forever Knight TV movie, a role later taken up by Geraint Wyn Davies. In December 2005, Springfield was asked by the General Hospital producers to return to the show, and he returned to his role as Dr. Noah Drake after a 23-year absence. His run was subsequently extended, although as of 2007 he remains a guest star on recurring status, and not a full contract cast member. In July 2007, a new storyline was introduced with another character also played by Springfield. The storyline is that the new character is Eli Love, "a 1980s rock star" who just happens to look exactly like Dr. Drake, who hates musicians, but may have to fill in for Eli Love at a charity concert. In 1974, Springfield dated and lived with then 15-year-old actress Linda Blair. He considered it his first "grown up" relationship, despite nearly 10 years difference in their ages. He is now married to Barbara Porter who he married on October 27, 1984. They met in 1980 while she was working as a receptionist/secretary for his manager. Springfield has also dated Connie Hamzy, Morgana Welch, Demi Moore, Diana Wheeler and Geraldine Edwards, who was one of the inspirations for Penny Lane in Almost Famous. In 1985, Springfield took break from his musical career to spend more time with his family, and to deal with the depression that had affected him since his adolescence. He had also wrestled with depression in the 1970s, when the serious illness of his father (who died on April 24, 1981) and career troubles caused him to "hit the wall" and contemplate suicide. 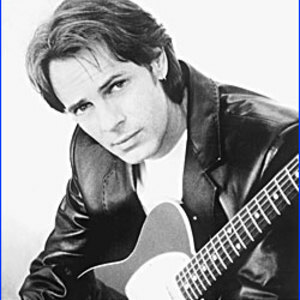 In 2006, Rick Springfield became a dual citizen of The United States and Australia.